Strange things happen this time of year. Storms come in a shapes and sizes. In an anniversary note, forty years later an ore carrier disappeared. Really just was gone. Way before GPS, computers weren’t connected to everything. Storms could disable a ship but on the Great Lakes rare for ships to go down. The ship broke apart taking 29 lives. 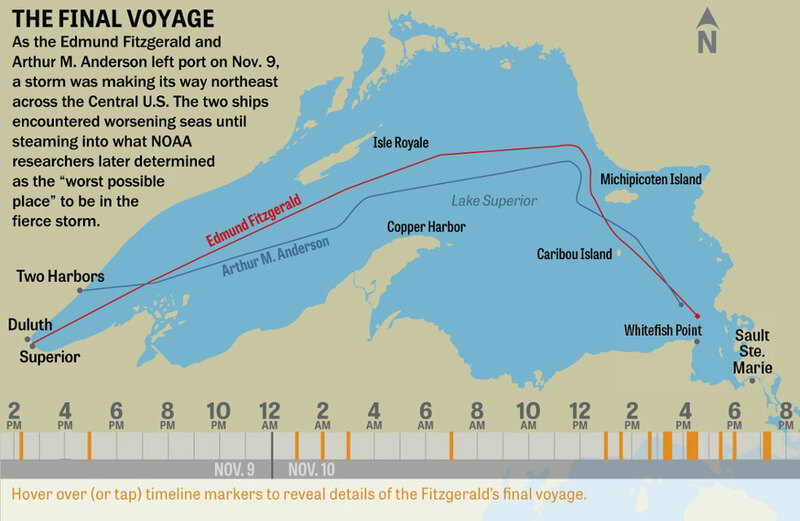 The ship may have taken on water before striking ridges on bottom of Lake Superior.